Wheelscience provides athletes with built to order, fully customized, race proven carbon wheels. Launching in Australia the brand has gained world-class recognition across the region and last year broke into the US market before coming to the UK through the renowned Castle Triathlon Series in 2016/2017. 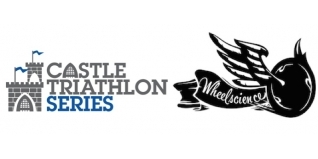 Wheelscience will be giving the fastest cyclists in the Gauntlet distance, at each of the six events in 2017, a free set of wheels worth up to £1,800 a pair. Not only that but they will give cash prizes to fastest bike splits in the Olympic distances during the season. Wheelscience wheels have been racing all over the world for the past 2 years. To date we have a 4:50 Kona bike split, a World 70.3 podium finish and a 12 and 24hr world championship to our credit. More importantly we have countless happy athletes riding our wheels everyday. If you are chasing a podium or a PB head on over to: www.wheelscience.com.